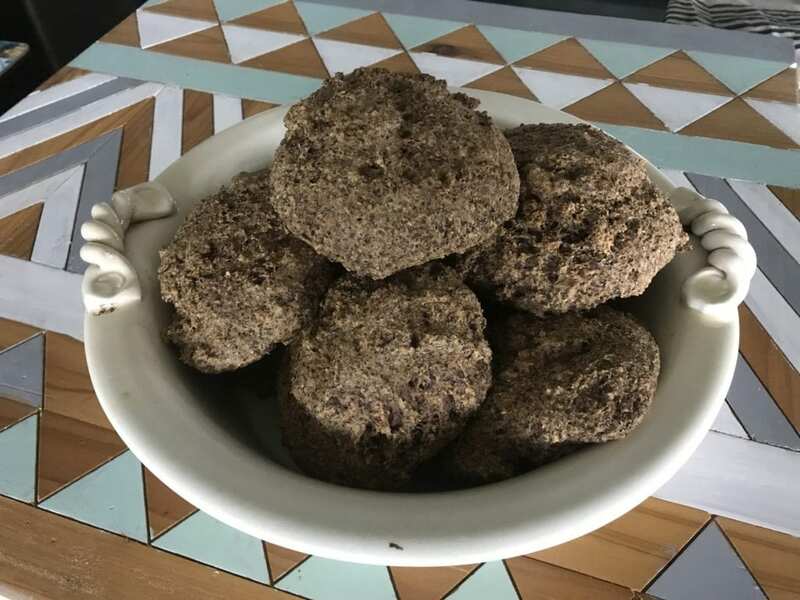 Low Carb Bread Rolls - Julia McPhee The Best Low Carb Bread Roll! 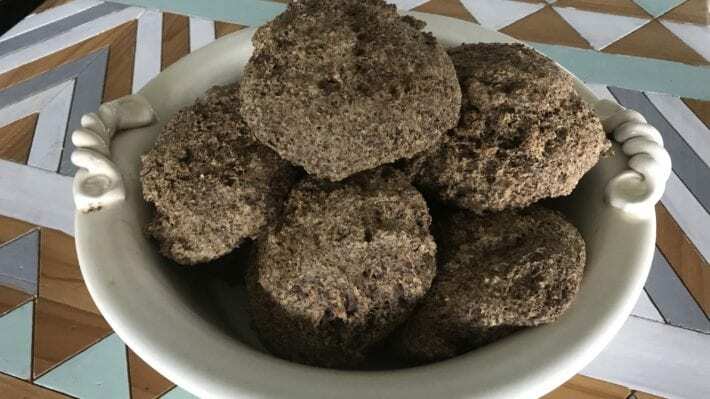 These Low Carb Bread Rolls are my best low carb bread recipe to date. Best served sliced through the middle, toasted, and topped with avocado, tomato and salt and pepper. Low Carb Bread Rolls are a staple in my lunch box. I now have the luxury of fresh tasty or toasted bread rolls, minus the bloated sensation experienced eating traditional bread. Mix almond meal, bicarbonate soda, salt and psyllium husks in a large bowl. Whisk eggs and add to dry ingredients. Stir well. Mix boiling water and ACV. Add to bread mixture. Note the mixture will froth first, and as you mix, will thicken. Stir well and place 8 large spoonfuls of the mixture on a paper-lined tray. With wet hands smooth the rolls into smooth rounds. Place in pre-heated 180 degree oven for 25 minutes. Once cooked they will be slightly browned on top and firm to touch. Store in the fridge or freezer to keep them fresh for longer. Hit menopause running and eating well! !